Robert Watson Boyd was a major sporting celebrity of his time, although he is now virtually forgotten. Boyd was born at Gateshead on the 20th September 1854 and was at one-time Champion Sculler of England. 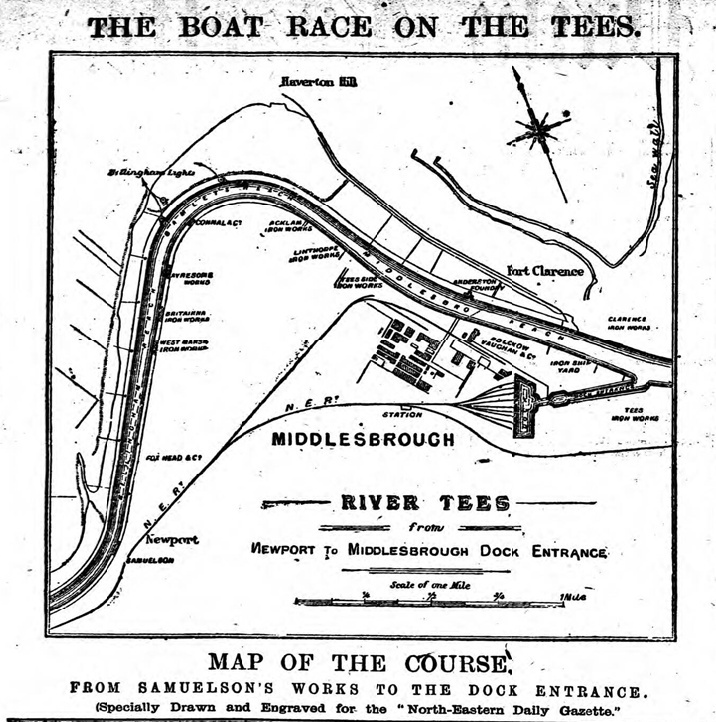 The Gazette covered his ‘Race of the Tees’ on 3rd July 1882 against Australian Elias C Laycock for £400 (this is something like £40,000 in todays money) it drew thousands of spectators with excursion trains running to Middlesborough from Sheffield, Whitby and Newcastle. Sadly he lost and this was his last public appearence. Later in life he became landlord of the Shakespeare Pub on Linthorpe Road, but died young on 1st July 1887.